In New Orleans, detox to retox is the name of the game. Let’s get you ready to play. You’ve chosen New Orleans to host your bachelorette party, you clearly make good decisions. 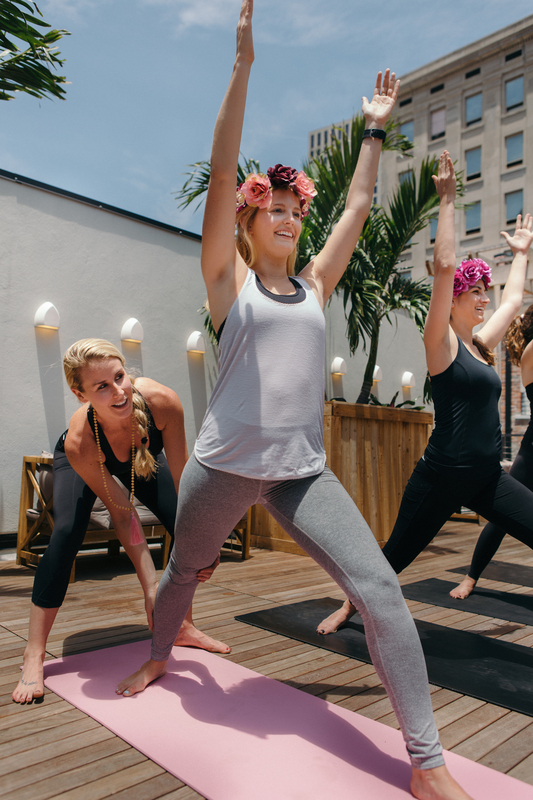 Let us help make this weekend better than you could imagine with a custom, fun as hell, bachelorette yoga class. Whether you want to unify the group or restore some peace after a crazy night out, an amazing zen-filled yoga session is just what the doctor ordered. 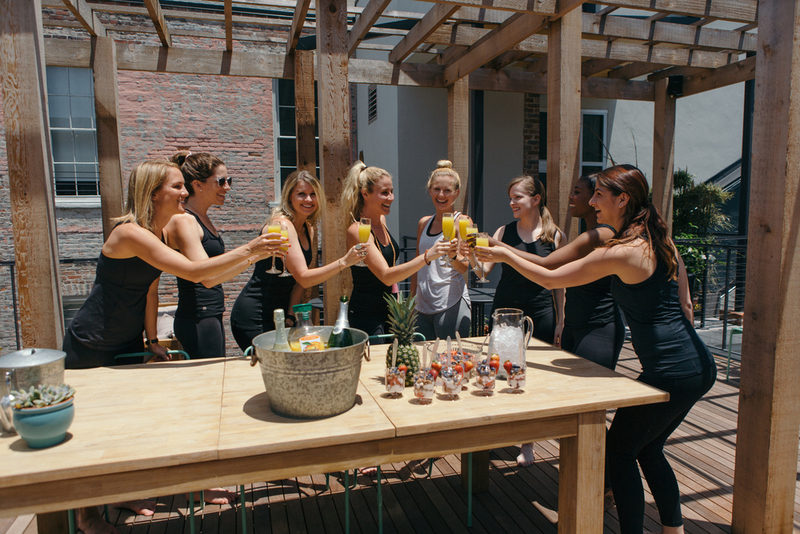 We can host your party on a hotel rooftop, outdoor park, local studio, or a special spot in the city - we work with you to fit seamlessly within your weekend plans. Have virgin yogis joining us? Fret not, we adapt the session to all skill levels. We went big time and launched Bride Tribe Yoga as a separate company. Everything you need to know + all the good vibes are located at the link below. Basic bachelorettes, bubbly bachelorettes, goat yoga, kitten yoga and more awaits! It’s yoga, that’s all about you and exhalting your tribe! 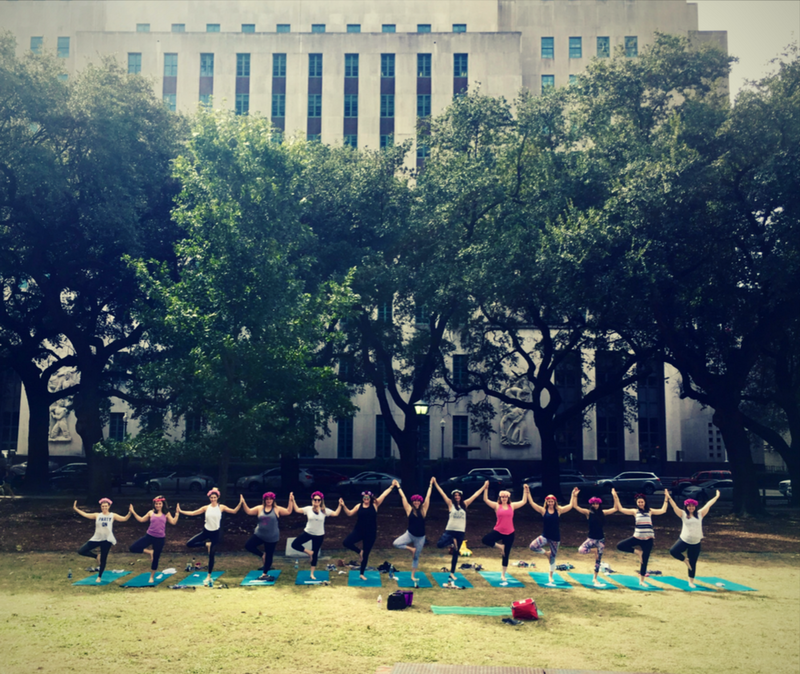 Bachelorette" yoga class in New Orleans over the weekend, and it was one of the best experiences of my life. Baye is the sweetest gem of a human being, and my friends and I talked about our class all weekend long. We got a great workout AND had 391 pictures and videos to share with our friends and family afterwards! It was so much fun. I would absolutely recommend the Bubbly Bachelorette to anyone visiting New Orleans for a bachelorette party. Thanks again for the best day Baye!" Baye led a group of 14 of us for my sisters B party weekend and did a spectacular job w an upbeat practice that catered to all levels of yoga experience. She even took 300 photos for us! Music and lavender towels were great touches! Thank you so much! We all feel it was a highlight of the weekend!." From location scouting close to where we were staying to the mats, music, cold lavender towels, champagne, etc. It was absolutely amazing for my sister's bachelorette party, the bride loved every second! We can't thank Baye and McKenzie enough for all their help!